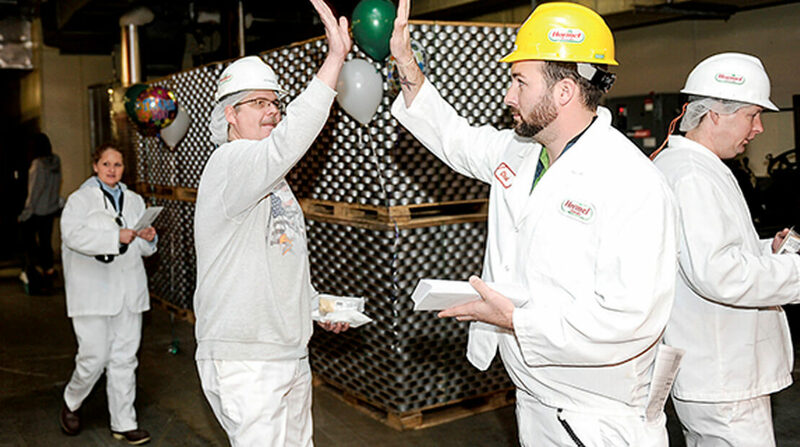 Hormel Foods Corporation (NYSE: HRL) today distributed its annual profit sharing of more than $16.9 million to eligible hourly and salaried employees during this 74th annual Thanksgiving Eve Day tradition. Hormel Foods, a multinational marketer of consumer-branded food and meat products, continues to be among an elite group in the industry for retaining its profit sharing plan. The program was started by Jay C. Hormel in 1938 and is voluntarily paid at the discretion of the company’s Board of Directors.